Why Study in Canada is Best Option for Students? HomeAll Posts...Why Study in Canada is Best Option for Students? USA, UK and Australia are the main choice of the students applying for Abroad Education. Students applying for masters mainly choose USA. 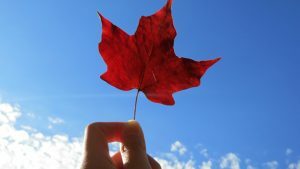 Choosing to study in Canada might not have the same initial appeal as opting to study in the USA, in this article we will share with you many options why you can choose Canada for your Education. Canada I now is emerging as the great country for study abroad. With More than 1 lakh Students apply to the Canadian Universities every year. The quality of Education is extremely good and Comparatively Low cost. Also the life style in Canada is great. Mostly Panjabi Community will find in Canada. You can say Its Mini Punjab or Second Home of Punjabi Community. So why should you select Canada as the Destination for your Education. Canada Education is Affordable than other countries like USA, UK which are really expensive. Education from Canada will accept worldwide. Canada Universities belong among the top ranked World Universities, They Know for Education and Quality of education. That’s why Canada is great place for Education for the Indian Students. Life of Canada is safe and its great place for living by environment and Population. Canada is renowned for being a safe country, particularly for international students. Canada also ranks top Among the United Nations due to various concerns. Student safety is a priority on campus, and most universities will have dedicated international student societies to help you settle into life in a new country. Main speaking language in Canada is English. Canada is a bilingual country perfect for students who want to improve their language skills as well. So you can easily get Gel with the local people and you will never have any Language problem if your English is good. Study a degree in Canada and you’ll get the opportunity to improve both Language and Personality. Lots of Jobs and good Salary. Canada is the only country which gives you extensions for Visa equals to time spend for Education. If you spend 1 year you will get 1 year time extension for Job. Canada likes to brand itself as a land of possibilities and it encourages international students with Canadian credentials and work experience to apply for permanent residency. If you meet Canada’s immigration rules, you can apply for permanent residency without even having to leave the country. That’s why Canada is becoming famous destination for students who applying for study abroad. Conclusion: We can conclude that Canada is safest and Affordable country for Overseas Students to Apply for Education As fees and living cost is Low. study in canada study in canada is best option for students study in canada students Why study in Canada?